Here’s the run down on what’s happening down at the BC Library this month. November 9th – 5:30pm After Hours Movie: Solo: A Star Wars Story (PG-13): Ages 13+, Community Room. November 17th – 1pm Virtual Vacation: Italy: Ages 13+, Community Room. Explore Italy on Google Earth XR. Are you familiar with Virtual Reality? If you haven’t seen it, you really should try it out. Don’t worry if you’ve got a bit of discomfort with ‘techy’ things – really, anyone can do this! You just put on these crazy big goggles (they look sort of like you’re going snorkeling but don’t block your nose…) and then those goggles are connected to a computer which runs a program, and you’ll feel like your LIVE and INSIDE of what is happening on the screen! But don’t worry, you’re safe in your chair – just watch and enjoy! Every two weeks they run a VR (Virtual Reality) Lab. But these Virtual Vacations are a new event at the Library and really are worth experiencing. November 22nd and 23rd – Library closed for Thanksgiving and for Family Day. 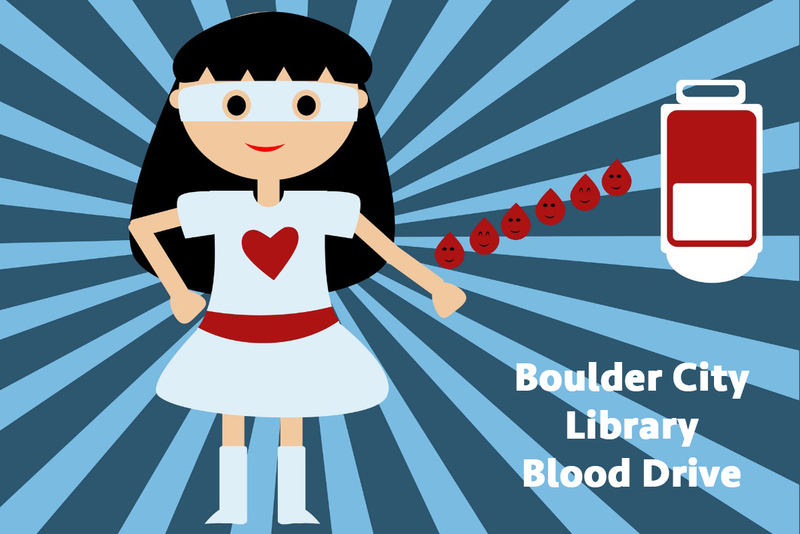 November 26th – 12-4pm This is a first-ever Blood Drive for the Boulder City Library at the Community Room. For eligibility requirements, please visit the Vitalant website. A full listing of this month’s happenings at the Boulder City Library can be found HERE.